Halong Bay is located in the northeast of Vietnam, 400 miles away from Hanoi. 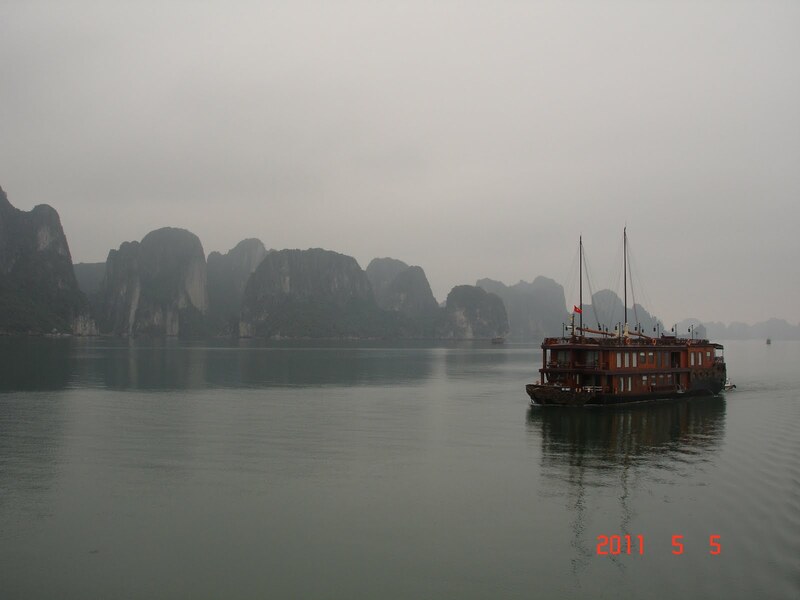 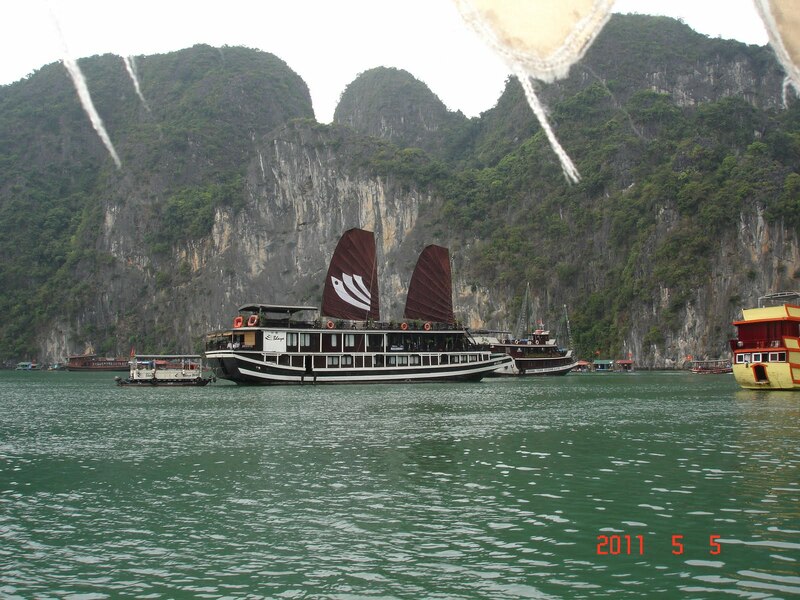 To discover and enjoy Halong Bay, there is nothing better than a Halong Bay Cruise. The most convenient option is to book the cruise using a Vietnamese tourist agency, the price for 2 days / 1 night cruise in Halong Bay is 100$ USD depending on the tour operator, the transportation from Hanoi may be included or not. 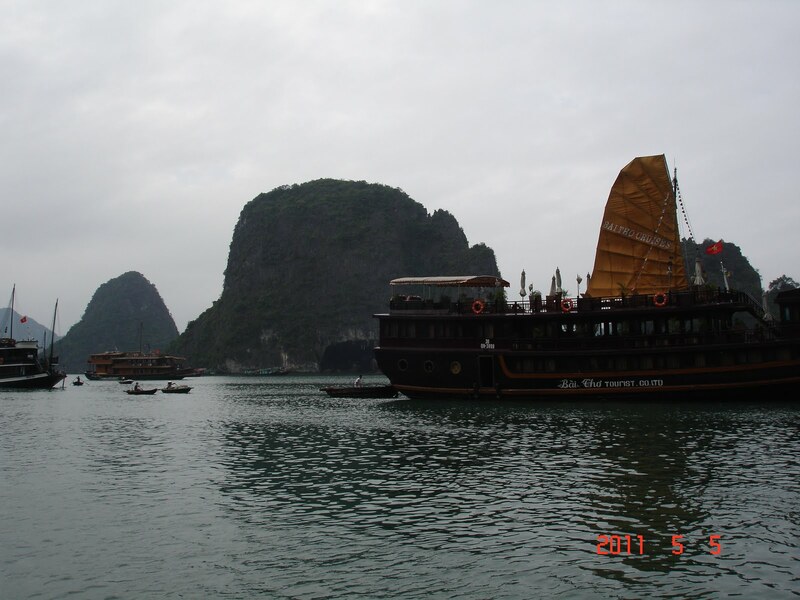 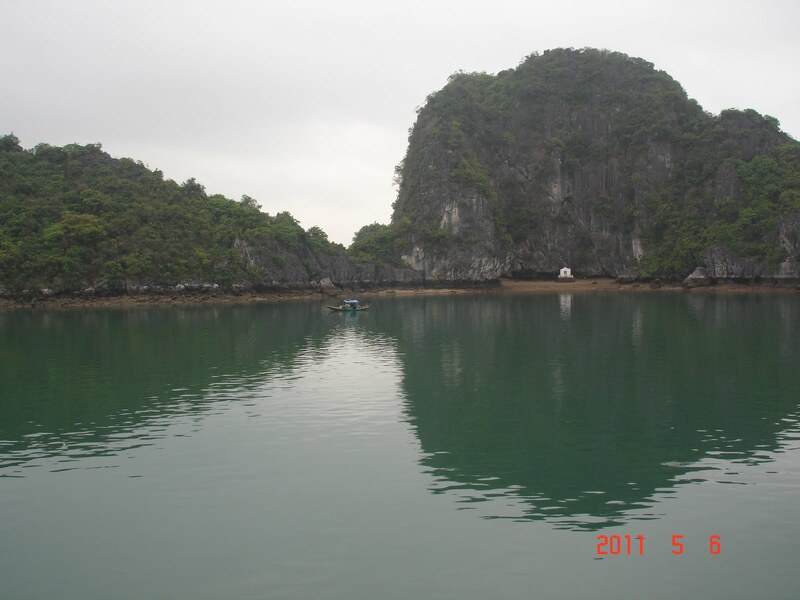 The price of the cruise in Halong Bay depends on the type of cruise. 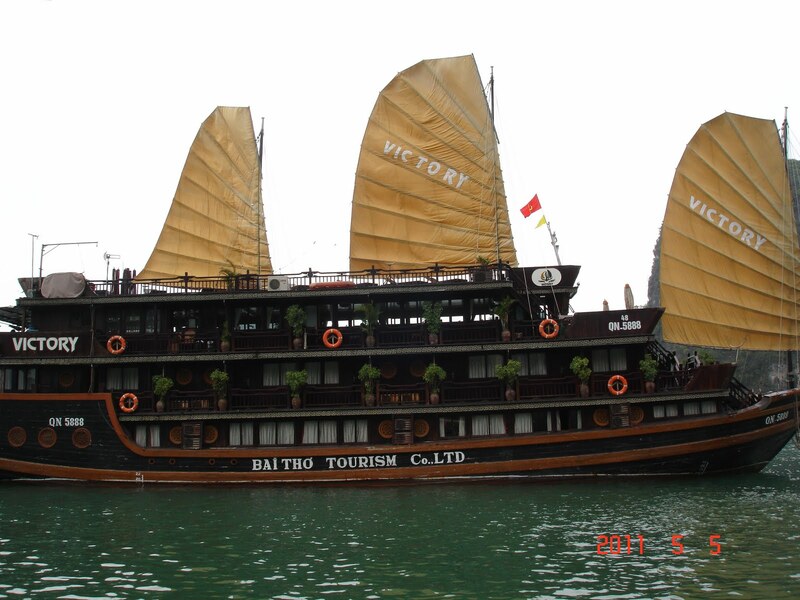 Each one have its own opinion about which cruise to choose, but our preference is a traditional wooden junk boat with white fabric sails. 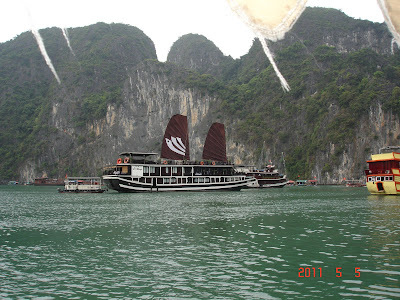 Those sails are not enough to move the junk boat therefore the junk boat will use an engine to sail Halong Bay.